I Need Help With My Wishlist! Okay so it’s not really that little.. But hey! We all have those things we see and think ‘ooooh I’d like that’. I mean, I’m probably going to only pick up one or two of the products I’ve drooling over lately but I thought it might be fun to let you know what I’ve been eyeing up and maybe you can help me decide whats worth getting! I do want to treat myself as its nearing the end of my first year at college so I feel its okay to splash out on a few little fancy bits! 1. Firstly is something I know I’m going to be purchasing in the near future as I’ve used the sample and I loved it! The Clinique Moisture Surge CC Cream has a price tag of £28 but y’know.. we’ve got to treat ourselves every so often right? Thoughts? 2. The next thing I’ve been obsessed by lately is the Clarins Splendours Summer Bronzing Compact, just look at it! It’s so pretty – I must admit the packaging is whats really been drawing my eye more so than the product.. this bronzer has quite a steep price tag of £30. 3. YSL Rouge Volupe Shine Lipstick in shade 13.. Oh, my, goodness. Every time I pass a YSL counter I swatch these bad boys and just drool over the packaging and the colour and the formula etc etc..
4. I’m a big fan of cream blushes, especially for the spring/summer. I really want to try some of the Stila Convertible colours – the particular one here is in the colour ‘Petunia‘ but I’ve also had my eye on ‘Gladiola’. 5. Maybe you can tell already since this is the second bronzer I’ve mentioned but I am in the market for a new one as the one I currently have is nearing its end.. 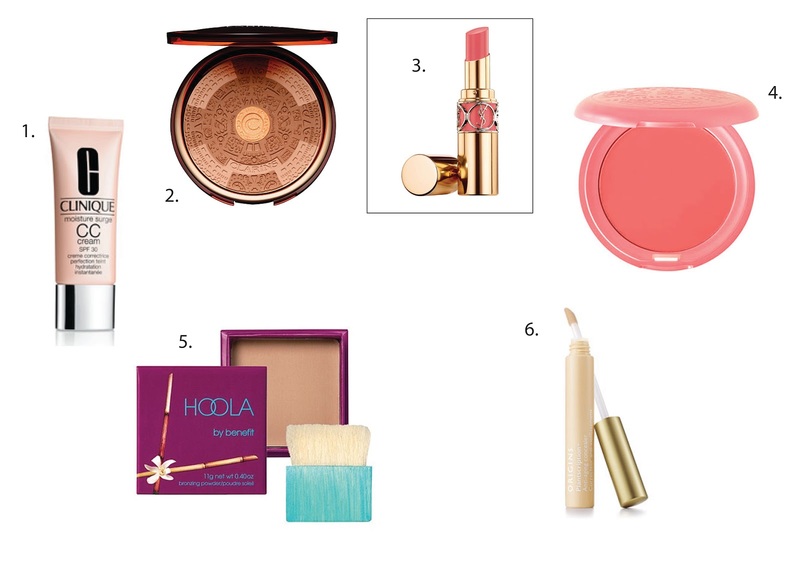 Benefit Hoola is something I’ve always wanted to try as I only really like matte bronzers. 6. Last but not least is Origins Plantscription Concealer which is supposed to be anti ageing, but really I just want something good for under my eyes. I like the Bobbi Brown Corrector but I find its not enough coverage for my horrendous dark circles so I’m looking for something to put over the top that wont crease or look cakey. So.. That’s my list! Please please please leave some comments as I really don’t know what to go for! I don’t want to go and buy the whole lot and if no one gives me any suggestions I know thats whats going to happen 🙁 Give me some advice and save my bank account! <3 Also if you have any other suggestions for things I should try then please let me know, I read and reply to all my comments! Previous Post Clinique Moisture Surge CC Cream! Next Post MUA Pro-Brow Kit!